This post includes a slide deck of the presentation, a top 10 and top 30 list of community concerns and the answers received from the essay questions including top concerns, what should be accepted, changed and rejected based on what we know so far. The results of our Lincoln Yards Feedback survey are now LIVE on Alderman Hopkins’s website. Lincoln Yards: When can we talk? Hello Sheffield Neighborhood Association members and fellow neighbors. First of all I want to wish all fathers and grandfathers a very happy Father’s Day. I hope you enjoy your well deserved time with your family, and I wish you all well. 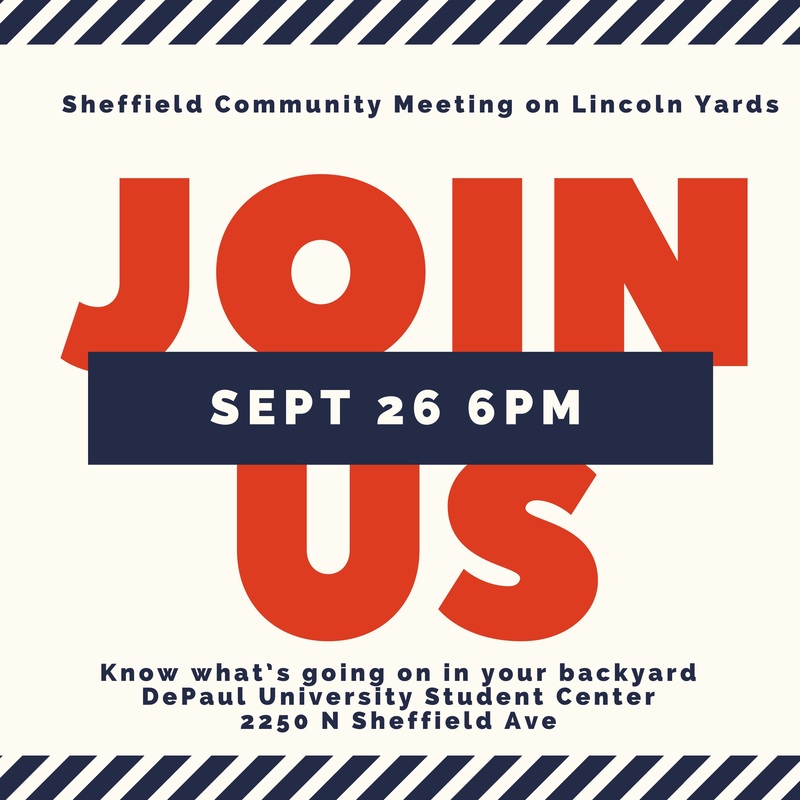 Read more about Lincoln Yards: When can we talk? AFS is looking for families to host foreign exchange high school students for the 2018/2019 school year. You choose the student who will be the best fit for your family. Students arrive with their own spending money, excellent medical coverage, and are looking forward to participating as active members of their host families, schools, and communities. For more information, please contact Linda Mellis at 773-327-9123 or afs.mellis@gmail.com. It is with heavy hearts that the Sheffield Neighborhood Association Board of Directors informs you of the passing of our fellow Board member and dear friend, Patricia Hayes. When people heard of Patty’s passing, they shared their thoughts with our group. We would like to share just a handful of those sentiments with you.